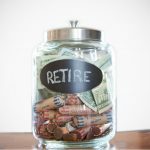 Retirement probably isn’t the first on your mind, even if you’ve settled into your career thus far, but that doesn’t mean that saving should be an afterthought. The earlier you can start saving, the more time there is to grow over time. While most live paycheck to paycheck, that is not an excuse to jeopardize your future, it just means that you have to be a little more creative in reducing expenses so there is a little extra at the end of the month to put towards retirement, instead on, say, impulse purchases. If you were asked how much the current expenses for monthly bills, even food, gas, and spending money, would you know the answer? Chances are you don’t know down to the dollar, but that could also be scary, if you are like most and don’t have a household budget to see if your allocated funds are on track or out of whack. By looking at last month’s credit or debit card statement, you can really start to go line by line and see what you’re spending in each category, not to mention add up all of the unnecessary purchases in a month and see what you could have put into a retirement account instead. Probably the quickest way you’ll see results with more leftover in your bank account, but also probably the hardest to do, is avoid going out to eat and opt for going grocery shopping instead and having meals at home. By getting rid of going out to lunch at work, grabbing carryout on your way home, or even taking the family to your favorite restaurant a few times can easily save hundreds of dollars a month by spending a fraction of that at the grocery store, not to mention probably eating healthier as well. This may be almost a culture shock as not going out to eat, but it may be easier than you think. Just imagine how many of the virtually hundreds of channels you actually watch, let alone live and not on your DVR. Take it a second level and examine what shows you are watching. Are you paying for a streaming service on top of cable? By getting rid of cable you can save a hundred dollars a month and just watch the shows you want on a streaming service or two, while you can still pick up an HD antenna for cheap, and get the local channels for free to still keep up with the news and network shows. This probably should have been canceled already, but month after month you say “I’ll start going next month” and then another month goes by and you paid for dues that you haven’t gone to in months. If you’re motivated and will stick with it, great, but joining to satisfy a resolution, only to give up after a couple months is no reason to keep paying, especially when you think about putting that $50 a month into your retirement account.